As you read this Tom and I are on our way toHouston, TX to enjoy the long weekend with his family. This will be my third trip to Texas, but my first to Houston. While most of our time will be spent with Tom’s parents, sister, and larger family, I am planning to do at least a little sight seeing. I had hoped to check out the Johnson Space Center, but with the U.S. government shutdown in full swing, that seems unlikely. Since we will be spending most of our time at Tom’s sister’s home, and I was taught to never show up at someone’s front door empty handed, I’ve decide to bring along a few things to say help say thank-you. My original plan was to bring a bottle of Virgina red wine that I picked up during my recent wine outing, but wine doesn’t always travel well and there was a definite risk of travel shock. So, as a back up plan, I decided to bake a loaf of quick bread because, properly wrapped and pack, I was confident it would make the trip in one piece. 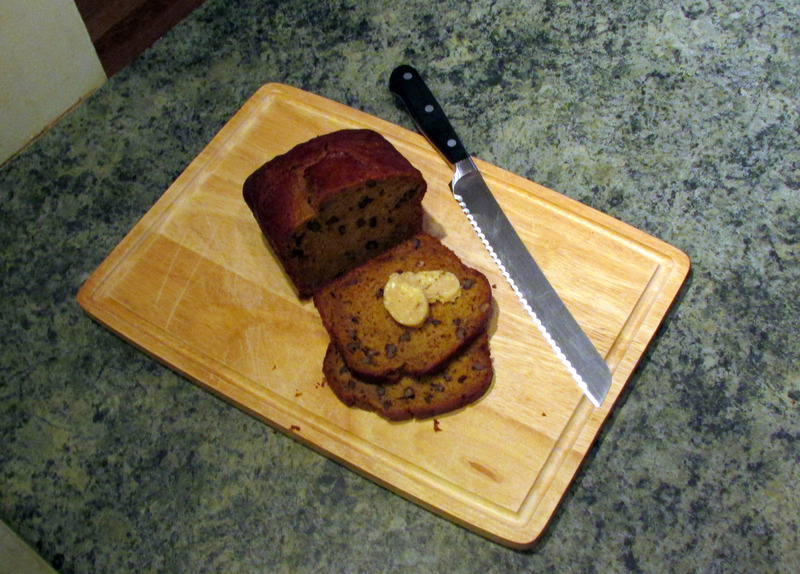 I originally thought of baking my “healthy” chocolate zucchini bread, but then I remembered that I’d recently pinned a recipe for bourbon pumpkin pecan bread. 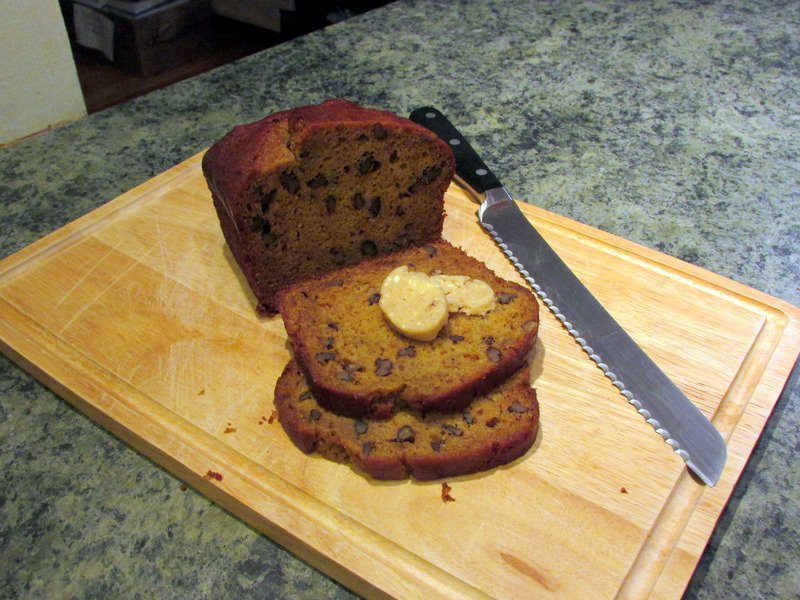 What follows here is my slightly tweaked recipe based on Belle of the Kitchen’s original recipe, found here. 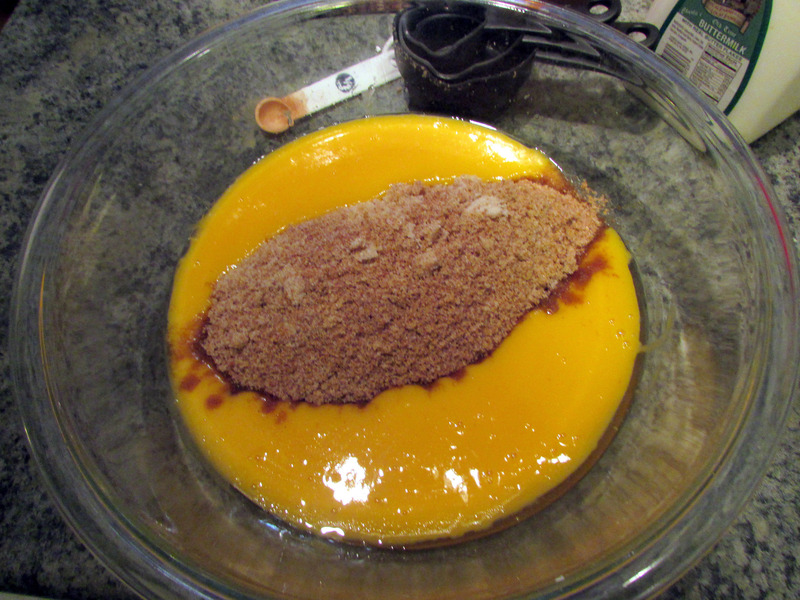 1) Preheat oven to 350ºF. 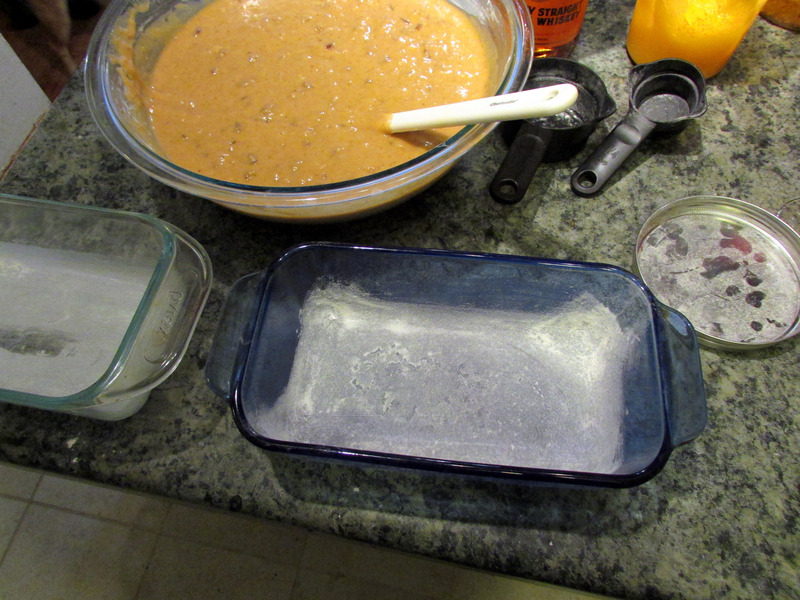 Grease and lightly flour the bottom of two standard size loaf pans, about 8.5 x4.5×2.5 inches. 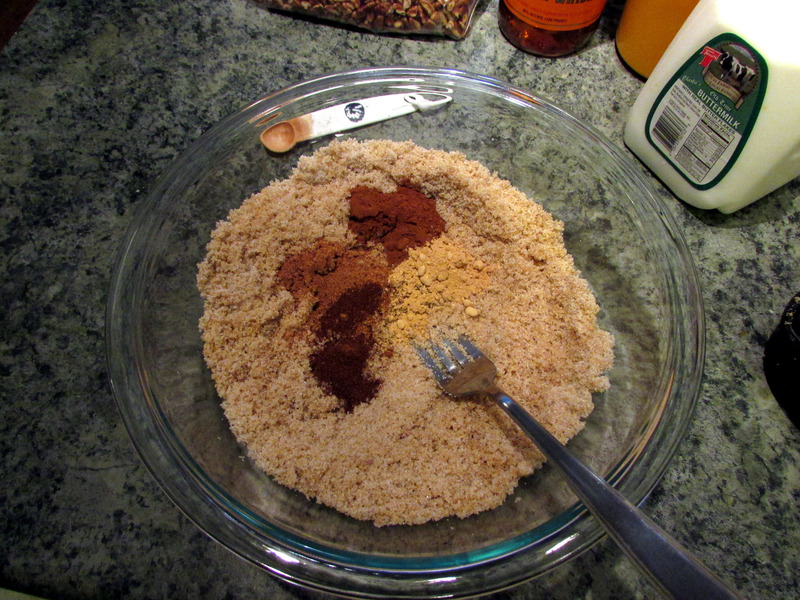 2) Use a fork to whisk together sugar, brown sugar, cinnamon, nutmeg, ginger, and clove in a small bowl. 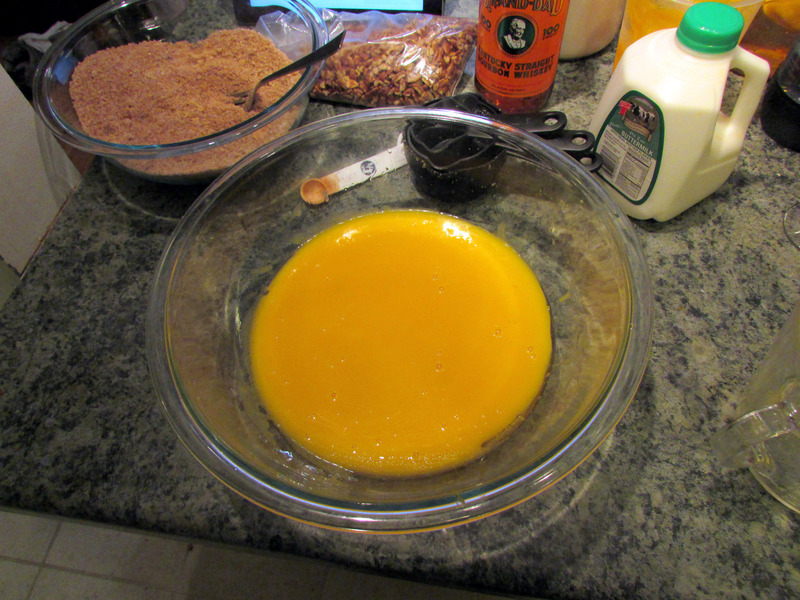 3) In a large bowl whisk together eggs, oil, and pureed pumpkin. 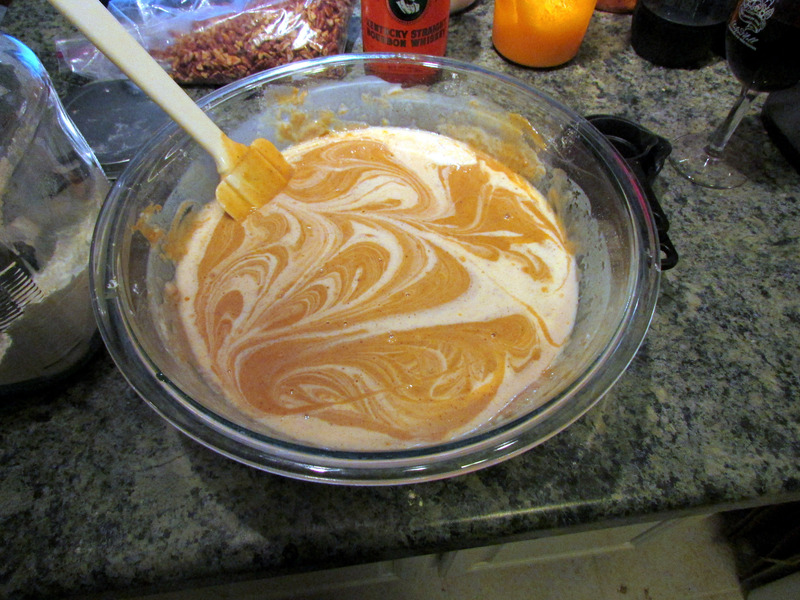 Add sugar mixture to bowl and whisk to combine. 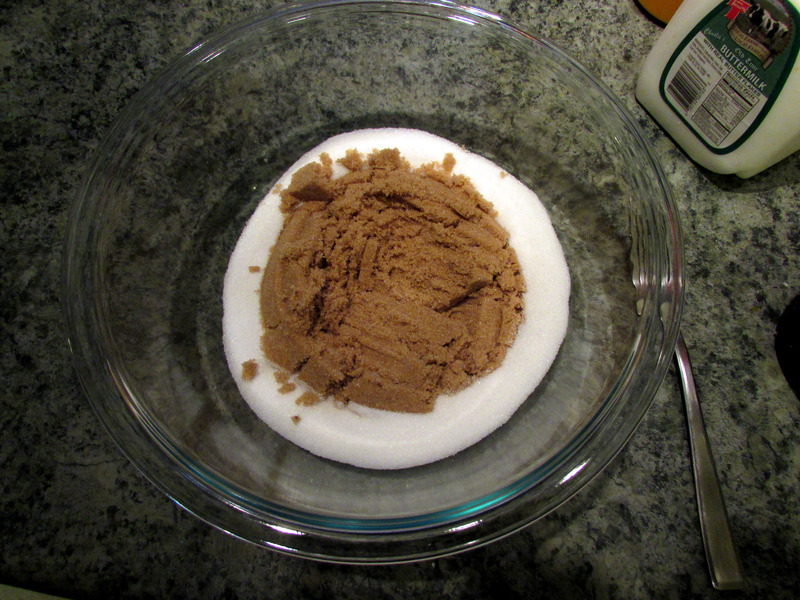 Stir in 2 cups of flour. 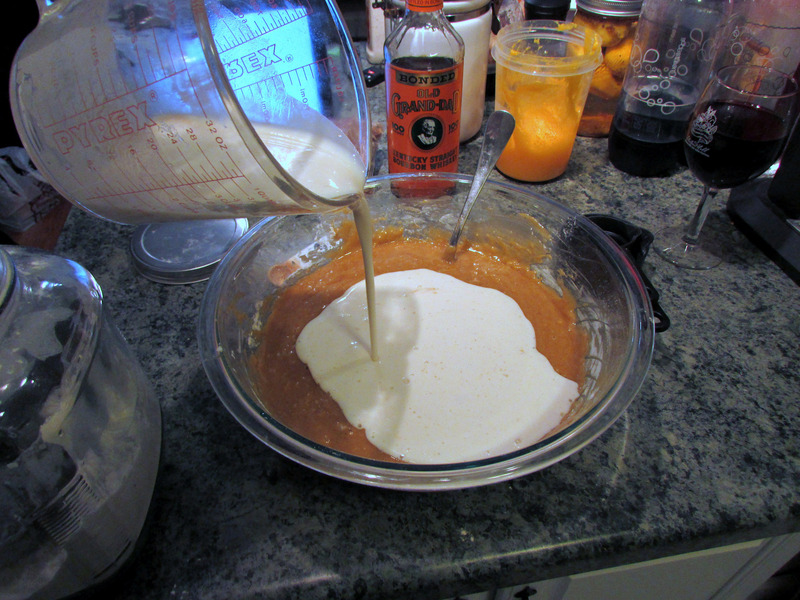 4) In a small bowl or measuring cup, mix together bourbon and buttermilk and carefully fold into batter. 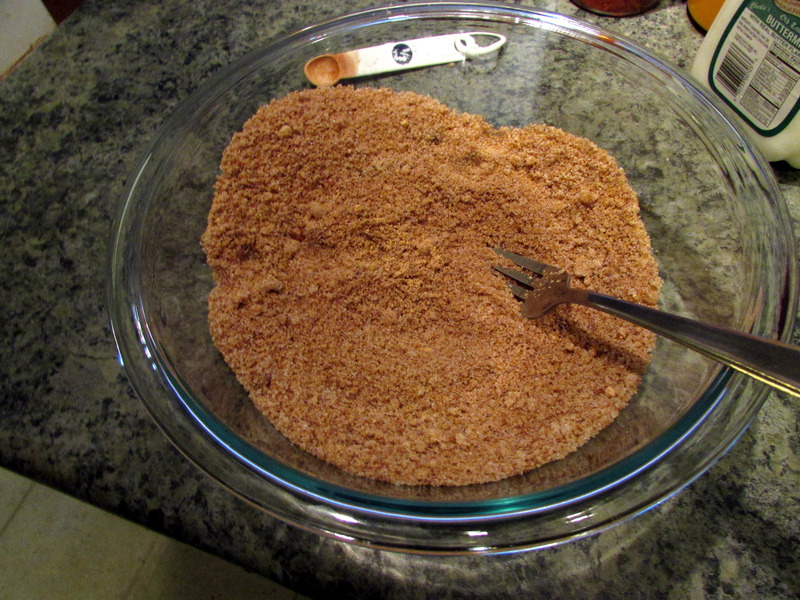 5) Sprinkle baking powder, baking soda, and salt on top of the batter and stir well to incorporate. 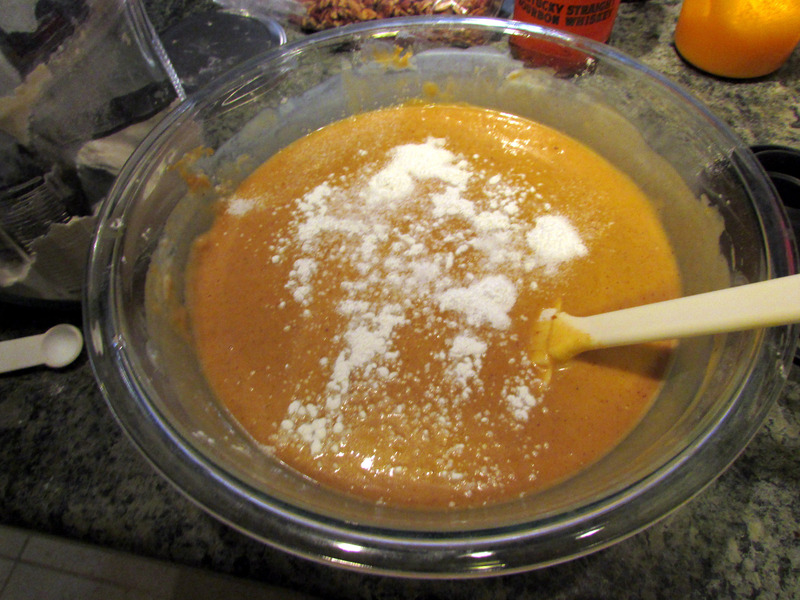 Add in remaining flour and mix until just incorporated. 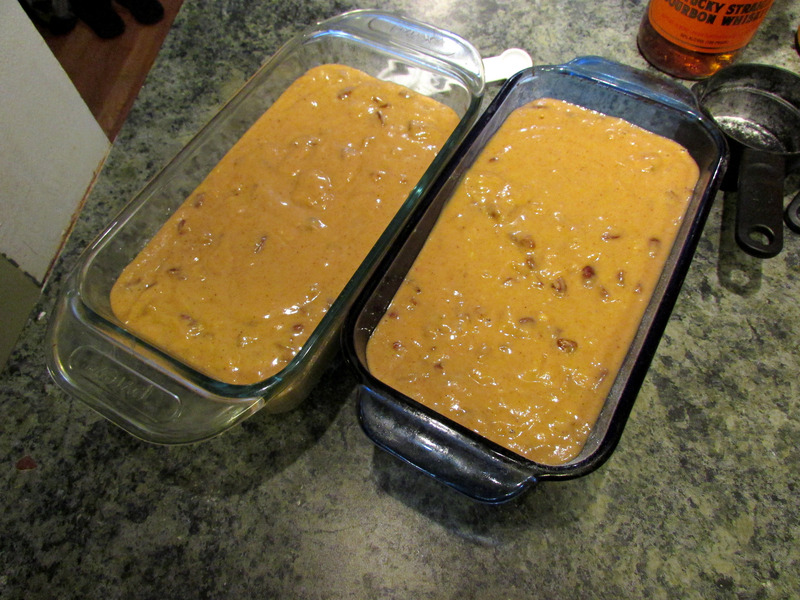 6) Fold the chopped pecans into the batter. 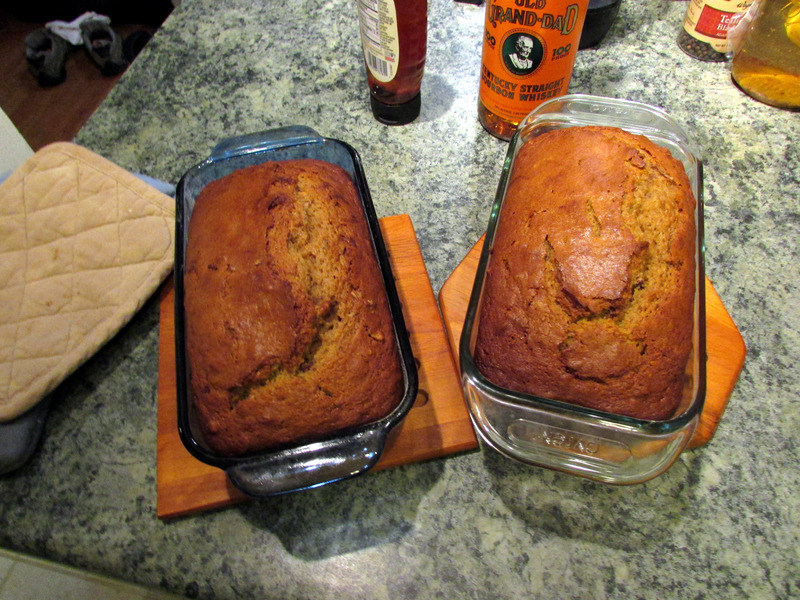 7) Divide the batter evenly between the 2 prepared loaf pans and bake in preheated oven for 1 hour and 10 minutes. 8) Once bread has been removed from the oven, let the loafs pans cool until comfortable to handle and then remove loaves. Set on wire rack to cool completely before storing. This entry was posted in Food, Recipes and tagged bread, Breakfast, Gifts, pumpkin. Bookmark the permalink. I checked out both recipes as well, what I love is that both times the loaf rises up so high and has those lovely crunchy breaks in the loaf! (If no one was looking, I’d tear the tops right off, slash them with butter and devour:) I love the idea of bourbon, could you taste the bourbon flavor or was it more subtle? It was definitely a subtle flavor. I may have only tasted it because I knew it was there, but I did taste it. I was really happy with the recipe. I noticed her comments about it being a work in process as well, so I went ahead and tweaked it myself. For example, she had already cut the amount of sugar, but I cut it even more. The only thing I would do differently is split the flour between all-purpose and wheat flour. Mojo Verde, A Spanish "Green Sauce"